Towing your caravan is now safer and easier thanks to recent innovations in caravan towing. We look at three innovations in caravan towing equipment that make towing your caravan safer. Some of the most dangerous situations you can be in when towing a caravan are when you’re passing or are passed by a larger vehicle like a road train or B. Double, or when you’re forced to swerve in order to avoid an obstacle on the road. Without any assistance, caravans can sway in these situations. The Electronic Stability Control system is a recent innovation that is designed to keep your caravan stable under these emergency situations. Furthermore, the ESC reduces sway under normal conditions in the dry or wet and when driving through a crosswind. A sensor mounted on the underside of the caravan detects when the caravan shifts laterally out of alignment from the direction of travel and applies the caravan’s brakes independently of the towing vehicle’s. This action stabilises the two and allows the vehicle to handle in a safe and predictable manner. The system works so well that it has been endorsed by the Victorian Caravan Industry Association (CIA VIC) as an important technology. All caravans with an aggregate trailer mass (ATM) in excess of 2000kg must have independent brakes. If your caravan has hydraulic brakes, the iQ7 XTREME is an innovative pneumatic/hydraulic braking system that offers greater control over your caravan’s braking and significantly reduces stopping distances. It is comprised of an in-car controller that is mounted in the front of the car in view of the driver and a compressed pneumatic/hydraulic actuator mounted on the caravan’s drawbar. Unlike its sister product, the iQ7 that uses regular electric brake controllers, whereas the iQ7 XTREME controller features a pressure-sensitive pad affixed to the tow vehicle’s brake pedal giving you better control. This system is far more cost effective than traditional air-braking systems. As a bonus, iQ7 & iQ7 XTREME also feature an in-built breakaway activation, which brings your caravan to a stop should it become unhitched in transit. Most systems require a separate breakaway switch and power source. Taking your caravan off road is made less precarious thanks to the off-road coupling. Some off-road couplings hitch to a regular 50mm tow ball dispensing with the need to upgrade them. But unlike regular, fixed couplings, this off-road coupling allows 360° of head rotation. This frees up the tow vehicle to have an increased angle of roll to the caravan than would otherwise be possible. The coupling hitches with an innovative positive-latching system meaning your caravan is far easier to attach than other types of off-road couplings. 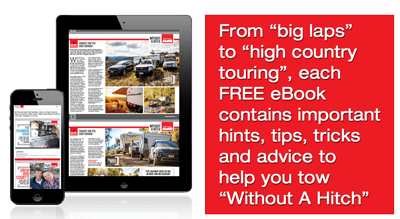 These innovations in towing technology can take the worry out of towing a caravan and will help ensure that your adventures are safe and enjoyable. Find out more about AL-KO caravan towing technology today.